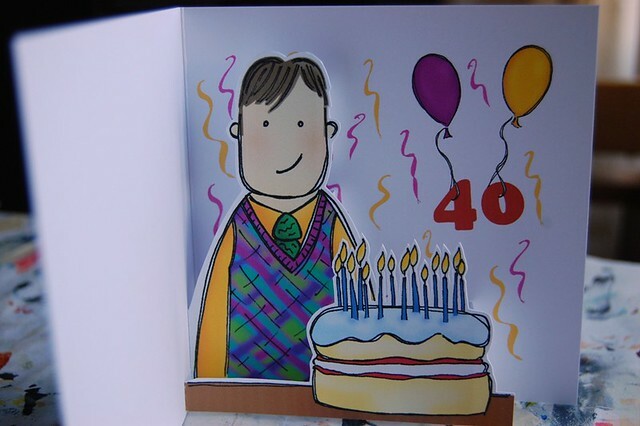 My brother Simon turned 40 in November and I made him a pop up card with balloons, cake and a fab outfit for him. I scanned my drawings then coloured them and arranged the pop up tab design in photoshop. I printed the card and the pop up pieces then assembled by hand. 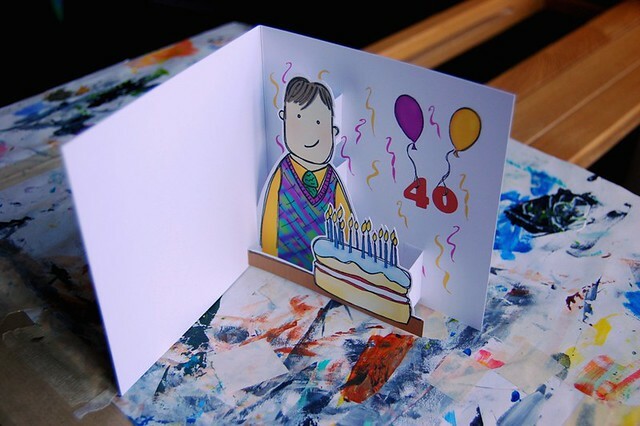 The card is approx 125mm square when folded. I also made a gift box for his present as I couldn’t find the right size and they were really expensive to buy. So I used this simple tutorial with a cereal box and power pritt stick. 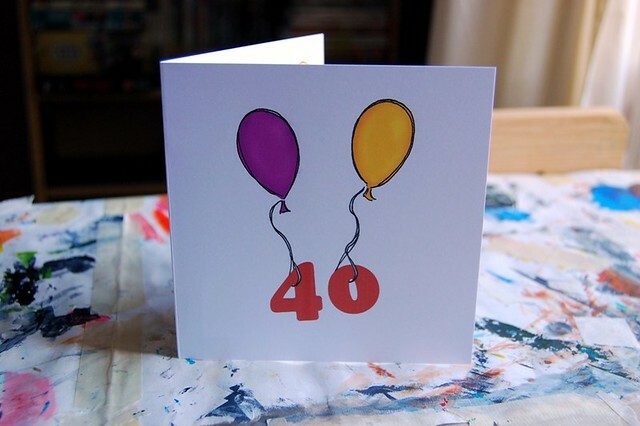 Then I covered each half with a sheet of A4 printed with a design I made on photoshop. I was pretty pleased with how it turned out. That box looks so professional! I am inspired. 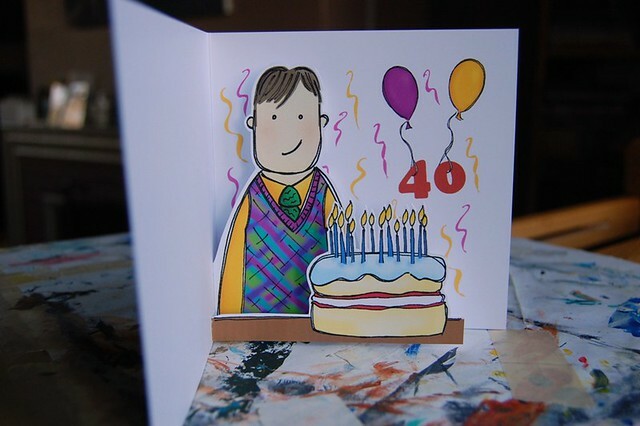 Love the card – He looks chuffed, that cake looks delicious and I love the colours in his tank top. Another fine creation, Mrs Creative!